Day or night, Sunset Grille welcomes diners with Key West-style ambiance. 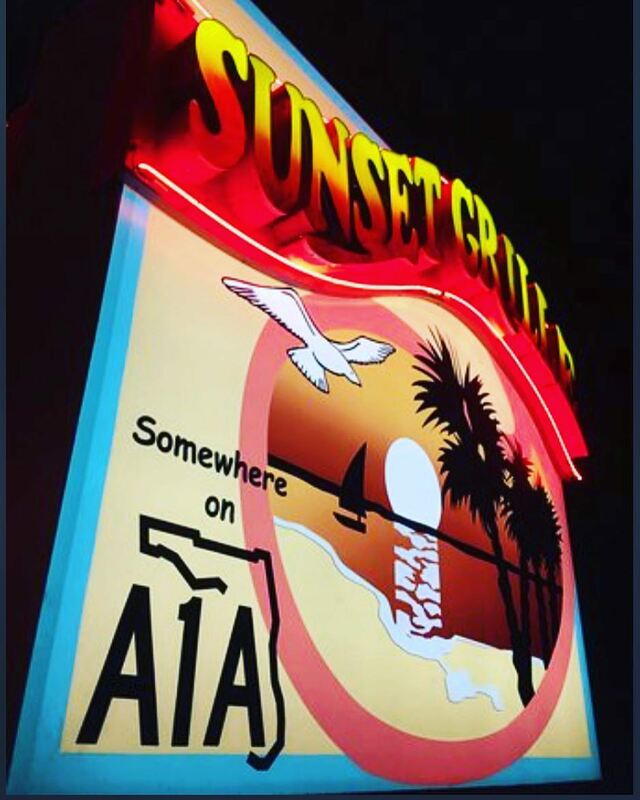 You’ve spent a glorious day touring the historic district or enjoying the beaches and now you’re cruising the beach road, “Somewhere on A1A”, looking for a great place to relax and eat. The breezy upper deck of Sunset Grille appears in the distance and you know you’ve found the perfect place to satisfy your hunger and desire for the relaxing beach atmosphere people travel the world to find. Step inside and the warm greeting and delicious aromas confirm you have found the right place. Guests are treated like VIPs no matter what they are in search of—a drink at the bar, dinner overlooking the ocean on the open-air deck or a large family dinner in the cozy dining room downstairs. Owners Pete Darios and Mike Rosa, are the dynamic duo who migrated here from New York more than 28 years ago with big dreams, determination, and Pete’s bartending and bar ownership experience. They took over a bar called The Sandpiper (formerly an old Phillip’s 66 gas station) and transformed it into one of St. Augustine’s favorite beachside restaurants. 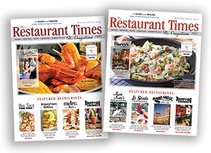 St. Augustine is celebrating 29 years of providing guests with fabulous food in a Key West-style atmosphere. The Sunset Grille’s spectacular location at 421 A1A Boulevard is right in the heart of what is essentially St. Augustine Beach’s town center. 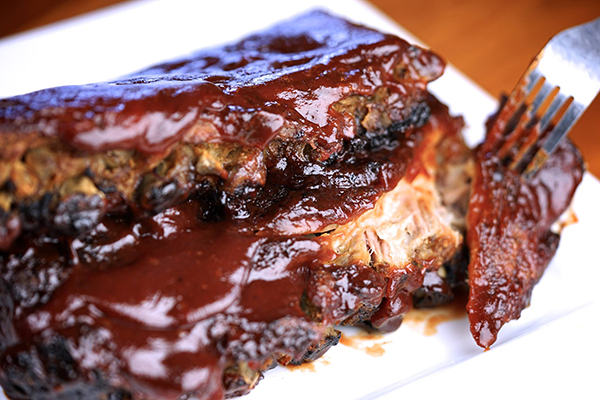 The restaurant is very close to the Pier and only minutes from the Bridge of Lions or from the bridge on Highway 312. Another key to Sunset Grille’s longterm success is consistently treating their employees as family. “We have several employees who have been here more than 20 years,” Pete said. You’ll see either Pete or Mike at the restaurant every day, and it is their hands-on approach that wins the respect and loyalty of their staff as well as their customers. Pete, Mike and staff are committed to making every person who walks through the door feel like a guest being welcomed into their home and leave feeling satisfied. To that end, menu development is ongoing. 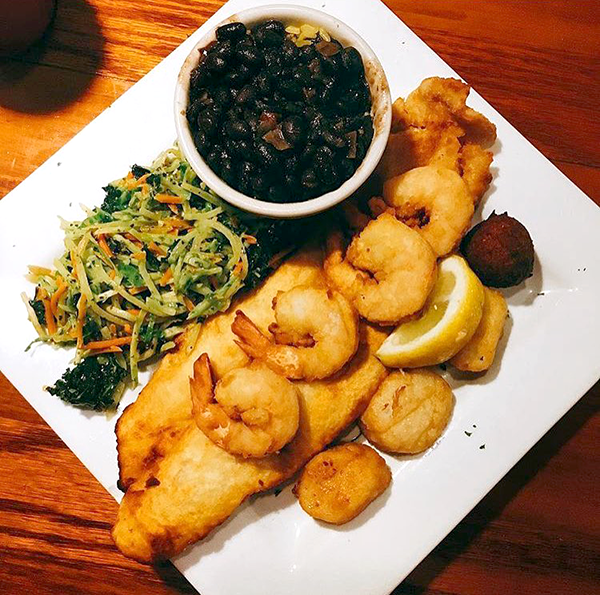 Noteworthy favorites, and daily specials with exceptional touches—such as Sunset Grille’s unique shrimp and grits, award-winning lobster ravioli, coconut crusted shrimp, Ahi tuna or seared scallops—keep guests coming back for more. Fresh seafood, award-winning chowder, (notably Minorcan Clam and New England Clam), mouthwatering ribs, incredible sandwiches (Sunset Grille’s Cheeseburger in Paradise and Ultimate Fish Sandwich are perennial favorites) awesome appetizers (Chowder Fries are well worth the splurge) and a great kids’ menu have put Sunset Grille on the map. Warm, friendly and vibrant inside and out, Sunset Grille delivers relaxing beach atmosphere, amazing food and an outstanding selection of libations—an escape to a place of your dreams. ​Sunset Grille is open daily for lunch and dinner. 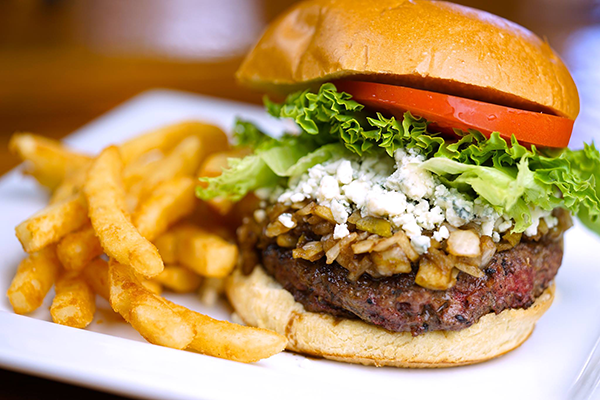 All burgers are handcrafted using freshly ground 100 percent Angus Beef.